Our vans come with a lot of standard features, but we have extra add-ons to help make sure you have what you need to make the most of your trip. All campervans have a 2” receiver if you bring or rent a rack. Fireside Mallow Co. brand gourmet, hand cut, flavored mallows. This kit includes: 4 mint chocolate chip mallows, 4 vanilla flavored mallows, 16 cookies coated with chocolate, and roasting sticks. Portable, easy to use campfire that is ignited and extinguished easily and can often be used when campfires are not allowed due to fire restrictions. Radiate Portable Campfires are made with sustainable 100% recycled materials, so whether you're looking to roast marshmallows or add some ambiance in the mountains, you'll have an easy way to enjoy a campfire without all the fuss. Includes a set of luxurious sheets, fleece blanket, and 2 pillows for each bed. This bedding is ideal for summer travel when the night time temperatures get down into the low 50's and warmer. Planning on doing some cooking on your trip and don't have you own gear? Our kit has everything you need for four people. Each kit is slightly different depending on what needs to be replaced over time, but each kit will have bowls, plates, cups and silverware for 4 people. It will also have at least one pot, sauce pan, cooking knife, cutting board, dish rag, can opener, coffee maker (French Press or percolator), lighting source for the stove, and a wash basin. A flushable, portable toilet that fits inside of our vans. It is a two tank system that allows you to flush and easily empty the contents into another toilet at a later, more convenient time. We recommend this add-on if you plan to do any primitive camping as it makes going to the bathroom much easier and preserves the camping area for others after you. Are you looking for a little extra privacy while showering or do you need a place to setup a porta-potty outside? 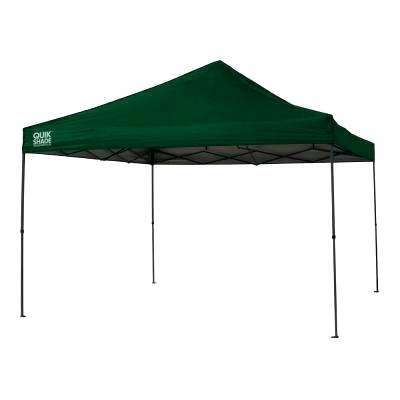 Our shower tent is the perfect option for longer trips when you don't have access to shower facilities. Hammock turns a 3 person second row bench seat into a bed to allow someone under 5 feet tall and under 125 pounds to sleep in a separate bed. Only available with the large campervans when the 3 person second row seat is selected. We offer 1 and 2 person sleeping bags. Both styles of sleeping bags are rated to 0 degrees Fahrenheit to keep you plenty warm on cold nights. Sleeping bags are spacious. The two person bag is the size of a queen mattress. Propane or Electric space heaters provide warmth during the colder seasons. These are included standard November through March in vans that do not have a built in heater. Electric space heaters need an external 110V outlet to be powered. Follow instructions to ensure safe use. Various bike racks hold 2-6 bikes. (Customer accepts all responsibility for the bike rack and any damage to bikes). Hitch Basket for the 2" receiver on the rear of the van to hold extra gear. Well behaved dogs are welcome in Wandervans when the daily pet fee is paid ahead of time to provide to extra cleaning time to make sure the van is good as new for the next customer. Wandervan rentals comes standard with 150 miles per day. Mileage packages can be a good way to save some money and not have to fret about how many miles you are enjoying.